Growing up in the suburbs of New York City in the 80s and 90s had its advantages. Plenty of things to do, great food, and baseball fever. Whether you were a Mets or Yankees fan, one thing was for sure — baseball mattered. Those partial to the Mets may have not had the history or nostalgia of Bronx Bombers backers, but the Amazins had something they called their very own for decades: Mr. Ralph Kiner. Kiner died Thursday at the age of 91. The man who lent his voice to the Mets for half a century is silenced, but the memories are plentiful and vivid. Kiner’s tact in the broadcast booth was like no other. He knew the game as well as anyone and he never held back on an opinion. His anecdotes and stories of baseball past were well told and often hysterical. Kiner cared about his broadcast partners, the ball players he was covering, and most of all the integrity of the game. Many in New York got a kick out of Kiner’s on-air blunders. When Kiner misspoke, you knew it. But his classic slips of the tongue made you smile, and they made Kiner even more endearing. He called Mets catcher Gary Carter, Gary Cooper. “If Casey Stengel were still alive he’d be spinning in his grave,” Kiner once said. My personal favorite came on a Father’s Day broadcast from Shea Stadium when Kiner wished all the dads out there a very happy birthday. Mets fans still repeat these lines today. Kiner classics. For the younger crowd, Kiner became known for his tongue-twisting and slip ups. Hopefully they were listening beyond that. Even when Kiner was up there in years and the speech was slowed by Bell’s palsy, his analysis was top notch. It wasn’t preachy or authoritative. It simply came across as a baseball man sharing his passion for the game with the viewer. I only knew of Kiner as an announcer. One day while watching a Mets game he was calling, my grandfather filled me in about his playing days. Turns out “Ralphie”, as Keith Hernandez affectionately referred to him, was one of the best to ever play the game. We knew him as an original Met, but Kiner was a standout outfielder for Pittsburgh. He had clout at the plate that was really unmatched considering how short his career lasted. Kiner played from 1946 to 1955 for the Pirates, Cubs and Indians. His career was cut short due to back problems but he made the most of it. Kiner smacked 369 home runs and 1,015 RBIs. He belted over 50 bombs in a season twice. Kiner led the National League in home runs every year during his first seven seasons. He hit at least 40 homers five years in a row. Incredible personal performance didn’t translate into much team success. The clubs Kiner played for were pretty bad. The World Series champion Mets of 1969 and 1986 and the pennant winning squads of 1973 and 2000 were extra special to Kiner, largely for that reason. As a broadcaster, he was able to enjoy the thrill of a winner that escaped him when he was in uniform. It took a long time for the Baseball Hall of Fame to come calling. Finally though, in 1975 Kiner was inducted in Cooperstown. He certainly belongs there. When you consider the length of his career, Kiner had as much of a power stroke as anyone. He averaged over 100 runs batted in over the course of his career. Few can say that. When my grandfather told me about Kiner as a player he also filled me in on his personal life. Kiner married tennis star Nancy Chaffee, and my grandfather remembers sitting in back of her at a ball game. Kiner and Chaffee were married for 17 years before ending things in divorce. He’d marry two more times. Kiner also dated actress Janet Leigh. He went on a date with Elizabeth Taylor. And was rumored to have dated Marilyn Monroe and Ava Gardner. Maybe he was Derek Jeter before Derek Jeter. Kiner would have fit in with today’s star athletes. He was a star on and off the diamond. Along with baseball and the ladies, Kiner loved his country. He served in the Navy in the Pacific, during World War II. Kiner did not see combat and he was always very modest about his service. He was much the same about his baseball career. The man with so much talent never boasted and never acted like he was better than anyone else. The Mets games themselves were great with Kiner behind the mic, but after nine innings were in the books, that’s when the real fun started. Kiner hosted his own postgame show on WWOR in New York City. It was called Kiner’s Korner and usually included an interview with that day’s star of the game. Kiner and his guest would often burst out laughing. It was more like two guys talking baseball at the end of the bar. 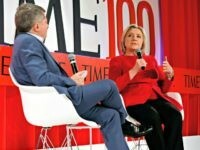 Nothing like today’s lineup of snooze-fest interviews filled with clichés and boring banter. Kiner was keeping it real before the phrase keeping it real existed. Although he waved to me and some friends from the broadcast booth when we were kids at Shea screaming up at him, I got to actually meet Kiner years later. In 2000, while covering the Mets for a small ABC affiliate in northwest New Jersey I met Kiner and the Mets longtime radio voice Bob Murphy during the same game. Not a bad day at the ball park. It’s hard to believe they are both gone. Kiner never played for the Mets, but he is about as recognizable a figure the franchise has ever known. He’s certainly one of the most beloved. 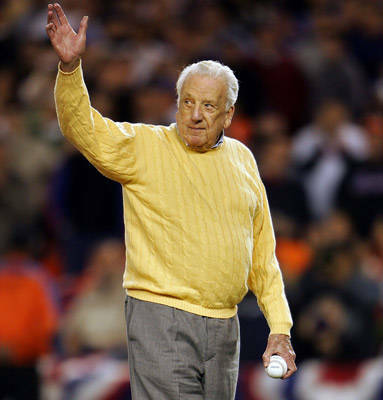 Ralph McPherran Kiner is survived by two sons, three daughters, 12 grandchildren, and Mets fans everywhere. Thanks Ralph. You were one of a kind.